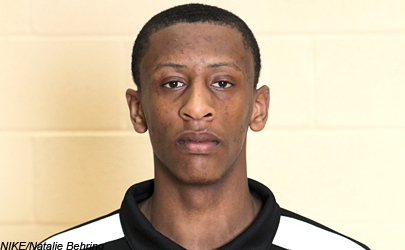 CSZ’s Jeremy Wahman was able to get this exclusive interview with 2013 SF Troy Williams. Check out what he had to say! CSZ:Where do you stand in your recruitment? What are your favorite schools? Troy: North Carolina, Kentucky, Louisville, Florida, Georgetown, and South Carolina. CSZ: What are you looking for in a school to make you commit? Troy: Academics and shaping me into a NBA player. CSZ: How do you feel about the University of Louisville? Troy: Really good school, meets my standards. CSZ: What are your main goals and things you need to improve before going to college? Troy: Honing my skills in ball handling, shooting, and shooting off the dribble. CSZ: What do you bring to a program, how can you contribute? Troy: Explosiveness, high motor, high scoring, and deflections. CSZ: Do you have a time-table to make a decision? Troy: Should probably commit this summer after AAU. CSZ: What are the team goals and what do you expect? Troy: We’re looking to winning the state championship this year. CSZ: Thanks for taking the time out to talk to us and good luck this season…. Troy: No problem and thanks. Here is a highlight video of Troy Williams.